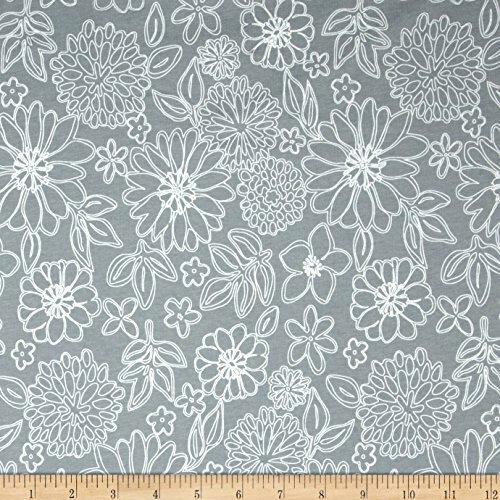 Designed by Sharon Holland for Art Gallery Fabrics this light to medium weight stretch cotton jersey knit is perfect for making t-shirts loungewear leggings children's apparel knit dresses and more! It features a soft hand and about a 50% four way stretch for added comfort and ease. Colors include light grey and white. 60'' wide. Fabric is sold by the yard and cut to order. For example, order of 1 yard (Qty=1) is 60'' x 36''. Order of 3 yards (Qty=3) is 60'' x 108''.